Naturally we don’t know how realistic these numbers actually are since there was widespread vote buying, ballot stuffing and arranged voter turnout with some people purportedly being bused into Yerevan from Gyumri according to one account. RFE/RL reported other specific cases of voting irregularities. There is already discussion of revolution in the air–Hovannisian’s press secretary Hovsep Khourshoudyan said today that “Even Serzh Sargsyan wants a constitutional revolution. A revolution is in the making.” And on Feb. 15 Aghvan Vartanian of ARF-Dashnaktsutyun told reporters that the party foresees a post-election “radical transformation” in Armenian politics. Naturally, such comments don’t seem serious when you have voters purportedly drawing caricatures on their ballots–one person actually ate his ballot at the polling station. This shows blatant cynicism in society, not a call for transformation. – Double the minimum wage to increase the standards of living for 99% of the population, most of which is struggling, to further stimulate the economy with consumer spending. – Dissolve the monopolies shared by several oligarchic clans to invite competition in the marketplace. – Attract foreign investment by continuing to offer tax breaks to would-be investors. Waiving customs fees, a good chunk of which ends up in the pockets of officials anyway, would also be a nice incentive. – Persuade oligarchs to create jobs by actually investing in the manufacturing sector instead of relying on selling cheap Turkish and Chinese imports at exorbitant prices to earn profits. – Boost foreign investment in the IT industry. The importance of this cannot be stressed enough. There is a plethora of talented young software engineers in need of jobs and career growth potential. They are leaving the country en masse–I personally know about eight people who have departed for the US, Canada and Russia and are extremely successful there. That talent has to stay put and help build the country. 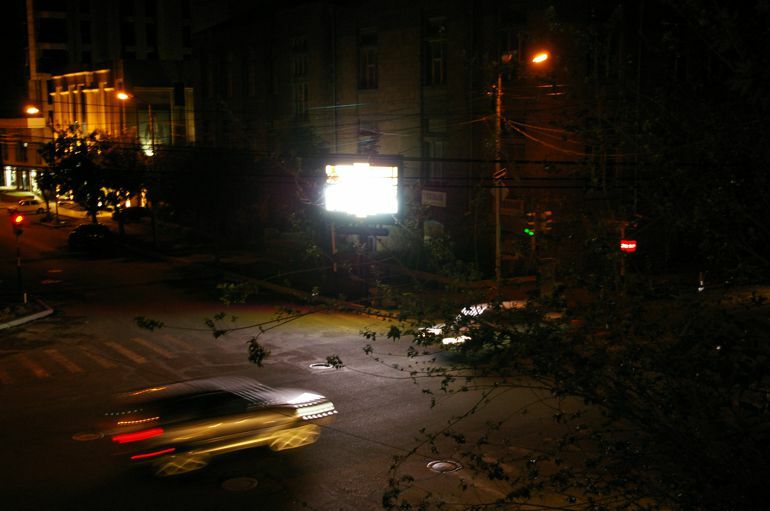 – Overhaul the social welfare system to ensure that the plight of the very poor and homeless (yes, people without shelter roam Yerevan’s streets) is assuaged by providing free housing, health care and employment for those who need it urgently. – Either stop or retract the complex web of governmental corruption. 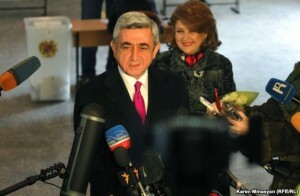 President Sargsyan best knows what needs to be done so there’s no need to elaborate here. – Stimulate civil society in Armenia through trainings and by promoting initiatives. – Become proactive in democracy building efforts. The mentality that “you can’t do it” fostered by Armenians from Armenia living abroad needs to change. This article originally appeared on the Armenian Weekly web site. With the Armenian National Assembly elections right around the corner slated for May 6, I am obliged to reflect upon the political situation of the last four years and contemplate where Armenia is headed. These elections will be the most important in this republic’s brief history as a test for the functioning of democracy, yet most people don’t realize it. Whenever I meet someone for the first time here in Armenia a minute doesn’t pass before politics comes up in conversation. For the last seven or eight years I have heard countless people express their disgust in the Armenian government and authorities, that the country is not a country, there is no justice, the oligarchs do whatever they want and take advantage, and so forth. Indeed, not once have I met anyone who has told me that they approve of the regime in power — either backed (in Robert Kocharian’s case) or fully controlled by the Republican Party (along with its coalition partner parties). Nearly everyone has told me the same thing — the laws don’t work or there are no laws, and the judicial system is corrupted. They are desperate, hopeless and dwell in a self-imposed realm of defeatism, each playing the role of the eternal victim. They expect governmental reform without having to work for it, as if the authorities will magically one day realize that they shouldn’t lie to and cheat their citizens any longer. They want justice and good governance, but no one can agree on how it will be achieved and who will lead that reform movement. Meanwhile, the Armenian Diaspora remains silent, continuing to turn a blind eye to the lack of democracy and governmental irresponsibility. Given the negative mindset in the motherland, one should come to the logical conclusion that the Republican Party will win less votes than it has in the past–despite election fraud that is bound to occur–making way for a new National Assembly controlled by a union of parties, albeit fragile, that have been in opposition. This ideal union would likely comprise the Armenian National Congress, ARF-Dashnaktsutyun, the Heritage Party and Free Democrats alliance, and the Prosperous Armenia Party, which has been keen to distance itself from the authorities in recent weeks although it refuses to officially break away from the pro-government coalition. This fresh National Assembly will also signal a new era in government, one where the demands of the people will conceivably be met and, as Raffi Hovannisian put it in my interview with him [link to http://hetq.am/eng/multimedia/videos/62/], emigration is reversed so that a wave of immigration displaces it. Nevertheless, the Republican Party’s notorious pre-election terror campaign of intimidation and harassment that has already been unleashed is bound to coerce many voters to cast ballots in their favor. The authorities are also counting on disenchanted citizens to sell them their votes for twenty bucks apiece. 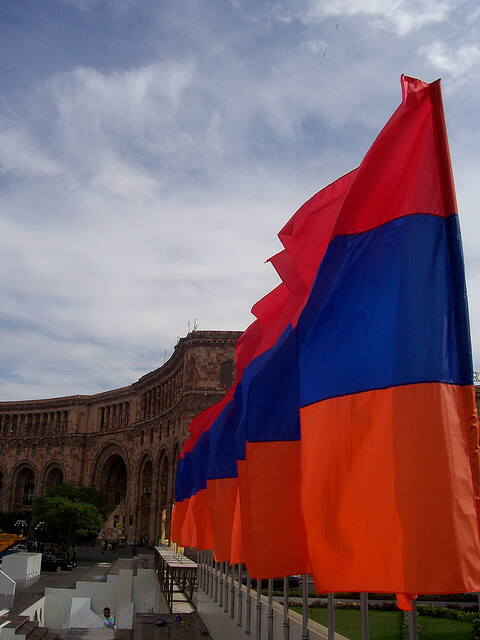 The issues plaguing Armenia are too numerous to list. But the most relevant points to tackle in random order are the following: a reformed, competent and properly trained police force; an independent judicial system; a substantial increase in funding for social services including doubling the minimum wage and pensions (which all contending opposition parties are pushing); the renovation of schools and hospitals nationwide starting with the most remote areas first; the reconstruction of roads and infrastructure again with the most remote villages a priority; the encouragement for civil society to flourish; the break up of the trade monopolies, especially on staple foodstuffs to promote competition in the marketplace; incentives for small and medium-sized business ventures to start up; a four-fold increase in efforts to encourage foreign investment in the thriving Armenian IT sector; additional investments in the tourism industry; and the immediate cancellation of long-term environmentally devastating mining projects that would only benefit foreign investors (the local economy would not be positively affected by any means). The list can go on and on, but tacking the aforementioned issues is a good start to getting things on track in Armenia and reversing the trends of narcissism and greed that have been strangling this country for far too long. Some argue that it will take decades and several generations to pass before the aforementioned issues even begin to be properly addressed. Unfortunately, we don’t have that long to wait. It’s been nearly twenty-one years since Armenia declared independence, and most citizens are no better off than they were then. Unofficial population estimates in Armenia are between 2-2.5 million. Entire villages have picked up and moved to remote parts of Russia where they have been provided housing and employment as part of a rural colonization scheme. The talented, technology savvy youth are leaving for the US, Canada and elsewhere–I personally know five software engineers that have emigrated during the last three years. 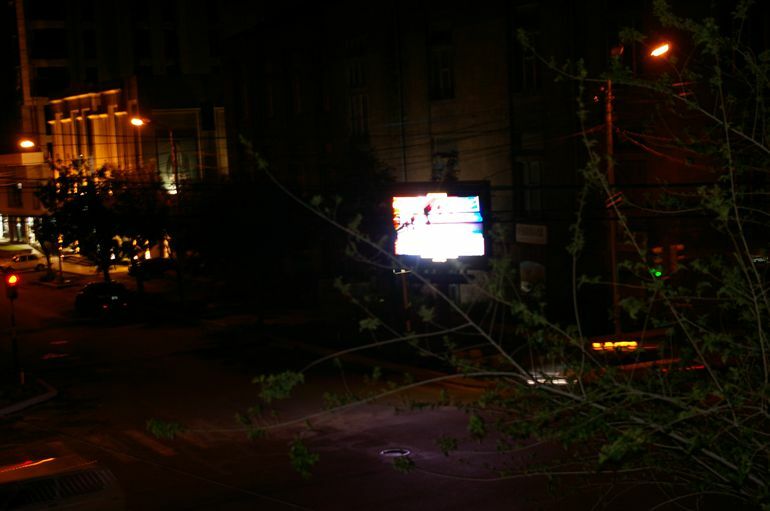 Artsakh is continuously being emptied of its populace–only around 2,700 people are left in Shushi alone. The new wealth and economic growth that is noticeable to foreigners and Armenians from the Diaspora is concentrated in central Yerevan–it is a mirage, actually a smokescreen obscuring what things are really like here. The sooner the Diaspora comprehends this and puts pressure on the Armenian government to get its act together, the more secure and yes, entrepreneurial Armenian citizens will be. But that reshaping cannot happen on its own, it needs stimulus; it requires motivation and dedicated hard work. It is dependent upon foresight and ingenuity. And it has to start right now.